This screen capture shows the outside of Gen. Louis Wagner Middle School, at 1701 W. Chelten Ave., in Philadelphia's West Oak Lane neighborhood. 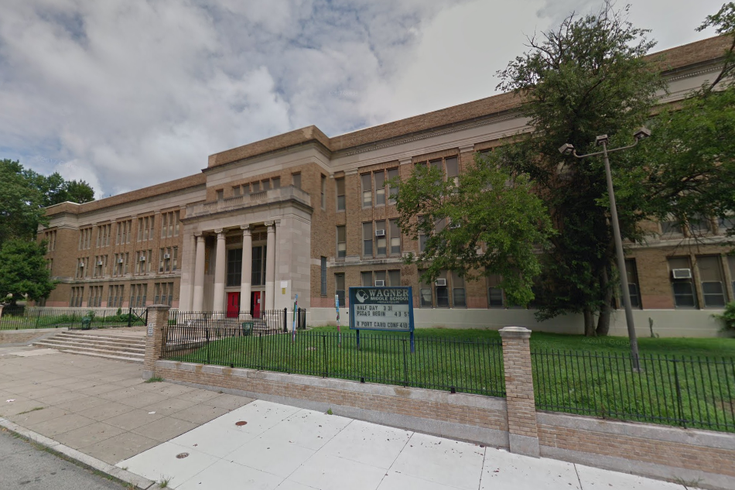 Philadelphia police lifted an early morning lockdown at a West Oak Lane middle school on Friday after recovering a toy gun on school grounds. The lockdown at Wagner Middle School, located at 1701 W. Chelten Ave., was put in effect shortly before 9 a.m. after the principal received a report that a student was seen carrying a gun inside the building, police said in an earlier statement on the incident. The principal called 911 to report that a student had allegedly seen an armed black male at the school. Authorities said officials searched every classroom in the building to find a possible firearm at the school, which let out at noon Friday as part of scheduled early dismissal for President's Day weekend. Eventually, investigators found a toy gun. There were no reports of any students arrested. The scare comes two days after 17 people were killed in a mass shooting at South Florida's Marjory Stoneman Douglas High School. Nikolas Cruz, a 19-year-old former student at the school, was charged Thursday with premeditated murder. He reportedly confessed to detectives that he was responsible for the mass shooting and had used an AR-15 assault rifle to carry out the attack.